The Transatlantic Trade and Investment Partnership (TTIP) is not some pre-defined monolith to be admired or despised, but a concept which will be shaped by the negotiators and then be accepted or rejected by our respective democratic processes. “We will get there and we will get it right,” said David O’Sullivan in an interview with EURACTIV. 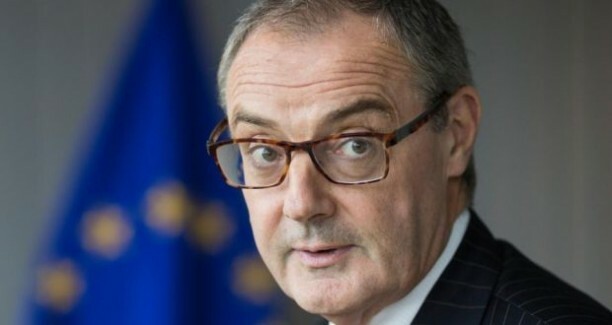 David O’Sullivan is the Ambassador and Head of Delegation of the European Union to the United States. He spoke to EURACTIV’s Editor-in-Chief, Daniela Vincenti. How does the EU look from the other side of the Atlantic: Bigger or smaller, stronger or weaker? We are the US’ first and foremost partner. It’s not a question of bigger or smaller, stronger or weaker. We complement each other. From the US, looking across the Atlantic, I see 28 diverse and, yes, sometimes times divergent countries working together and able to make things happen. And I think the US fully recognizes the clout which institutional Europe can bring to the table. Whether it is sanctions or trade negotiations, the EU’s robust legal and institutional structures add real value. That really sums up what I have been seeing and hearing in the few months I’ve been here. The EU-US relationship has always been important. But the US is understandably keen to develop strong relationships with Asia. And we have of course done the same — something I’m keenly aware of myself having negotiated a number of our trade deals with Asia and worked to ensure a significant EU presence in the security fora of ASEAN. Talk of the US pivoting to Asia was perceived by many as an attempt to downgrade or weaken the transatlantic relationship. But the EU had its own Asian pivot. Nonetheless, we have moved to strengthen our ties as we cooperate and coordinate across the Atlantic at an unprecedented level. Our shared values are under threat from multiple sides. We are both faced with challenging the scourge of terrorism within and beyond our borders; we both see the need to stand up to countries who think they can get away with land grabs in the 21st century; we both find it essential to push free and fair trade as a way for both developing and developed countries to increase prosperity; and we have a shared interest in reducing the risk from nuclear proliferation. And that is really just a few highlights from our common agenda. The bottom line is that every day in our transatlantic work, we identify issue after issue where we share problems, and can see that the best solutions are when we work together. Will the EU succeed to grow its role in the world? How? The EU is already a major international force. We are the largest economy and the largest trading block. With Lisbon, we have begun to leverage our economic and commercial strength also to wield political and security influence. We cooperate intensively in the UN and other international fora. We have a large number of civilian and military CSDP missions, from the Horn of Africa to Mali and Ukraine. We see that in practical terms daily here in our Washington delegation. We now host and coordinate a number of meetings and activities between our Member States and our American counterparts — whether we are talking to the White House, to the State Department, Congress or other agencies. It makes perfect sense for the Americans to come to us and brief everyone at one time, on, say, their Russia sanctions rather than go from embassy to embassy. There is now so much information sharing and coordination going on in our delegation that we have simply run out of meeting rooms — so we are currently busy adding more space! On a broader level, our role in the world of course depends on our ability to deliver; our ability to be relevant if you will. And as I mentioned in my answer to your first question I think we have come a long way in a short period of time. Is the rise of Eurosceptic and extreme nationalist parties across Europe bringing new ‘American ideas’ on how to solve the democratic gap between the EU and its citizens? If you look on both sides of the Atlantic, you’ll actually see very similar issues of a “democratic gap”, as you call it. General election voter turnout for the 2014 midterm elections here in the US was the lowest it’s been in any election cycle since World War II. So it is by no means a unique European problem, nor is there a unique American solution. I rather see the similarities in that we are mature democracies in a globalized world that both have to overcome political disengagement and the belief that voting has become somehow disconnected from policymaking. At the European Student Conference organized by Yale University over the weekend, students proposed, for example, European versions of AmeriCorps, Teach-for-America, and SeniorCorps? Would that work? All these initiatives are clever and effective ways of essentially packaging community spirit, which is something that we Europeans have in abundance. The great thing about the Yale conference is that a new generation of young Europeans are starting to think about the Europe they want in the 21st century. Each generation needs to reinvent the relevance of the European project. The enthusiasm and commitment of these young students is infectious. What role do you see for particularly interested youth in America, like the 80 students gathering at Yale, for ensuring that the US will not lose its interest in Europe despite the ‘Pivot to Asia’? As I’ve already said, I don’t see the so-called ‘pivot to Asia’ as detracting in any way from the transatlantic relationship. We’re not losing interest in each other; we’re developing an ever-stronger relationship as we address challenges across the world. I do see a role for youth, though. I believe the youth are the Atlanticists of the future. Personally, it was my four years in Japan in the early 1980s which really convinced me that European integration was the indispensable formula for preserving our continent’s values and prosperity in a rapidly changing world. I am sure that studying in the USA gives these young Europeans a unique insight into how Europe is perceived from the outside. It can be a life-changing experience. Surely, you are being lectured by our American cousins on how to turn Europe in a more dynamic economy. Can this tutoring be translated into concrete, deliverable actions? Do you hear anything new on the role of innovation, entrepreneurship and access to capitals that you have not heard during your long time as a civil servant in Brussels? I don’t see any lecturing. In fact, what I see is two partners addressing challenges together. With an eye to our ongoing TTIP talks I have actually been studying the extent to which European companies invest and help innovate here in the US. There is a lot we can be proud of. And that of course includes Philae’s recent comet landing that was all over the news here! And more than once, I have had Americans complaining about their train service while marveling at European high speed trains! Having said that, I do think we can be inspired by the US entrepreneurial spirit — and part of that is the attitude that it is ok to take risks, it’s OK to fail. You simply get up and try again. We do still see big differences in performance between EU Member States in the area of innovation, but these are narrowing. Europe’s social model is a huge strength, but it needs to be adapted to a changing world. And Scandinavian countries have in particular shown how this can be done. It seems to me that Americans are very much interested by the state of European Identity. Beyond peace and prosperity, have you found a 21st century way to explain it? We are old and we are young. I think that is a key for Americans to understand our identity. They know our cultures, they know our history — many of them came from Europe and it morphed into their own unique American identity. And at the same time they are starting to recognize this fairly new kid on the block – the EU – that is building a new Europe. The Europeans who came to America in the 17th century were looking for a chance to build a better kind of society. They wanted a second chance to do better. The process of European integration was also about a second chance for Europe, a chance to reverse forever the spiral of national conflict that twice led Europe into two world wars. So, in the words of President Obama, both the US and the EU are predicated on the belief that ‘we can build a better history’. We are not doomed to repeat the mistakes of the past and we can shape a better destiny. In this sense, we have a shared identity. Are you being asked to talk about the European dream? What’s that? We Europeans are often first in line to criticize ourselves, and sometimes deservedly so. Americans likewise find plenty of faults with their own systems – just watch the political debate here and you will know what I’m talking about. But Americans across the spectrum also have a great pride in being American and what they as a country have achieved. I think we need to be more proud of what we as Europeans have achieved as well — whether we are talking about getting together to secure peace and prosperity following the war or finding ways to achieve more together in today’s globalized world. I still think Europe is the best place in the world. The best place to live in. The best example of how much more can be achieved by countries working together. That, to me, is the European dream. Last but not least, Ambassador O’Sullivan: TTIP. Should we start thinking of a mini-TTIP or Plan B? What is really achievable by the end of the year? No. We are not contemplating any mini-TTIP, early harvest or whatever you want to call it. Our TTIP talks are unique for all the attention they are receiving and for their unprecedented scope and ambition. But they are not unique from any other trade deal in the sense that at the end of the day they will take the time they take to get it right. I know, having negotiated before some deals that took years that we got it just right. There is no need to panic or fret over TTIP not having been concluded yet. I know we will get there and we will get it right. On euractiv.com, student participants in the ESC, together with former Ambassador Wolfgang Petritsch, have called for youth on both sides of the Atlantic to take a constructive lead in the current TTIP debate. What role is there for youth? Youth are tremendously important in sustaining and growing the transatlantic relationship. Ever-increasing levels of commitment by successive generations have brought us to where we are now, and the role of the Millennials is and will be to make sure the relationship continues to broaden and deepen. In the specific context of TTIP, it’s important that all groups of stakeholders make a constructive input to the debate. There’s too much misinformation out there at the moment, so we need the youth to pitch in, air their views and make informed decisions based on real facts. And the real facts are that TTIP, whatever form it finally takes, will bring tremendous benefits to the US and European economies, and to the world as a whole. TTIP is not some pre-defined monolith to be admired or despised. It is a concept which will be shaped by the negotiators into a concrete proposal which will then be accepted or rejected by our respective democratic processes. There is nothing to be feared and much to be hoped for, especially for our young people who are the ones who will really benefit from the right kind of deal. These trade treaties appear to be good but from the majority of the people’s point of view they are not. Indeed the majority 90% of the people who are poor and middle income bracket derive no living standards benefit whatsoever according to studies and actually go backwards, leaving the benefits for the top 10% and 1% super-rich. ‘CONTROL’ is the name of the game. But it is it the corporation or the people who will win out? For years I considered that western media’s ‘take’ on events around the world were the truth, but where as I have got older and have absorbed more with an open mind, I find that I cannot take at face value what I used to do. This has been tempered in recent times again with the USA/EU-Ukraine/Crimea-Russia conflict triangle where Russia has been portrayed, rightly or wrongly, as the villain in the scene. But where I have not to date seen within western media conclusive evidence that Russia and its military are actually fighting, engaged or have boots on the ground in the Ukraine. Surely if there was conclusive evidence western media would have published it and it would have been broadcast across all western media outlets to show to us mere mortals in the West, that Russia was truly the portrayed villain in the script. Added to this no conclusive evidence that the Malaysian airline was shot down by the Russian rebels or Russia itself. Indeed if the USA/EU create the same situation as Germany had after WW1 through economic sanctions, the same outcome will be the reality with Russia retaliating in a similar action. The reasoning is that if you bleed out the economic heart of a nation, they eventually have no alternative but to break out like Hitler did. Do we in the West really want this is the big question and the reasoning why western media has to be unbiased, open and transparent. For the reasoning to go to war or not, is based upon the people’s perceptions fed by the media predominantly and as history has shown clearly time and time again. Ambassador O’Sullivan better do a reality check soon! ” No need to panic or fret over TTIP”………yes everybody should go back to sleep because Mr Juncker and the EU know what is best! Let the US lobbyists and the large corporations come to a nice and cosy arrangement – they know what is best for the EU citizens! Just leave it to us…………..we know what is best for you! Ambassador O’Sullivan: you should smell the coffee – CETA and TTIP are going to be rejected and you should stop being a US apologist. Some politicians are asking David Cameron to use the Veto to opt out the NHS from the TTIP, but where this will not secure the NHS’s future in the long-term. For a Veto is no good to stop anything as time goes on and is a short-term mechanism. Once the TTIP has been signed by our hoodwinked politicians and where it is forever as the treaty makes clear it is irrevocable, over a period of 10-years the EU will make it mandatory that the NHS is opened up to private healthcare corporations. The reason, the treaty states quite clearly that monopolies cannot exist and in the TTIP’s eyes, the NHS is a giant monopoly and is illegal under the trade agreement. Indeed if the UK or any EU nation tried to pull out of the TTIP no matter when, they would be sued by every multi-national corporation from the USA and EU for loss of earnings and profit. The treaty is also clear on that also if you read between the lines. So a veto is not worth the paper it is wrote on. Consequently the only way to stop this corporate grab is to stop the TTIP and never allow our politicians to sign it. Simple really. The unelected president of the European Commission has decide we are having TTIP and there’s not a dam thing anyone can do about it. As your President Juncker has said ‘National elections change nothing’ which means he does not care what national governments & by extension the people who voted for them want or think, he is President & his will is divine..
Rule without consent is a dictatorship, not a democracy. All these on the EU gravy train don’t give a damn about the people of Europe, only themselves. Indeed when they retire they are handsomely and I mean handsomely rewarded, for destroying lives across the EU. For the reason why they don’t care about the majority of people is because we the stupid electorate in our own countries do not take to the streets in enough numbers to show our total distain for the EU dictatorial regime that has affected negatively the lives of 90% of the people of the EU. Only the top 10% and particularly the super-rich 1% class have ben enriched by the EU draconian system of do as I say. Vast numbers of innocent lives and futures have been destroyed on the altar of self interest and corporate homage. When the EU breaks up we will all be asking ourselves, why were we such fools not to see this gravy train for what it really was, something that destroys for the majority and not a creative force for social and economic good. Your position sounds as if we were the underdog. In fact we have more citizens, more GDP and more trade weight than the US, Europe is the regulatory leader of the world. The question is not what we like about US demands but what our industries ask the US to do. We are approaching the multi-polar world in which the US lowers its relative power and Europe has only to gain more international weight. In fact our 27 member states, all nations like the US, reached compromises and modernised their laws. Now it is time for the US to adapt, with or without TTIP. Tell that to the Rockefellers, Morgans et al and the world’s most powerful bankers in Wall Street. Unfortunately, the power of money overrules all and that is a fact, even regulations and the political elites. They will see to that no matter if the TTIP is signed and sealed or not. But I consider that they wish it to be signed and sealed personally. Thank you emeryderek. I read what Reich had to say about the TTP a couple of weeks ago and he should know being a former secretary of state for Labor. Unfortunately these TTP and TTIP trade treaties are an absolute stitch up from our political elites. It is no wonder that people are learning what our politicians are up to and eventually it will be the their undoing. Indeed the more who learn about these secretive trade deals the better for democracy, something that our politicians are crucifying for their own rewards and the rewards of the top 1%. Keep up the good work of informing. I certainly will.